The 1st of April was also the first day of competition of the 2019 European Cup Final. Giant Slalom was scheduled and because of severe weather, the start initially got delayed by an hour. But the wind slackened and the races eventually could begin. The woman standing class opened the races, where 4 competitors fought to stand on top of the podium at the end of the day. Three of them were Russian and the 22-year old Swiss skier Bigna Schmidt. At last there were double Russian on top op the podium, where Russian teenager Varvara Voronchikhina – fresh from winning three golds at the national championships – could receive the gold medal. Her compratriot Mariia Papulova finished second and the Swiss in third place. When the four women had passed the finish line, the sun started to break out between the clouds in the sky. At the same time the vision impaired-men entered the slope. At last Ivan Frantsev, with his guide German Agranovskii, could win the class. The biggest class of the day, men’s standing, had 13 participants. It would eventually be a hard fight to stand on top of the podium, where the Swiss speed specialist Theo Gmur would win, 0.13 seconds before Russia’s Paralympic super-combined champion Aleksei Bugaev, who made his international return in Sweden. Gmur need to win at least three of four races in Kloevsjo to be able to surpass Andorra’s Roger Puig Davi who leads the overall ranking with 394 points. Now he has one. 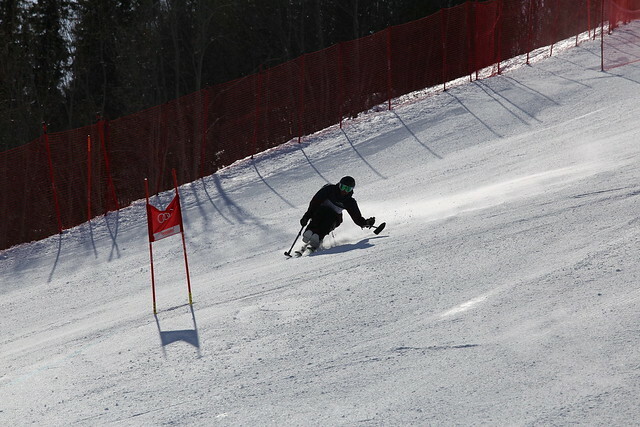 The best home skier of the day was Aron Lindstroem, who finished 6th, a second from te podium. He wasn’t all happy with his skiing after the race and hoped to perform better the upcoming days. In the men sitting-class two of three participants eventually crossed the finish line. 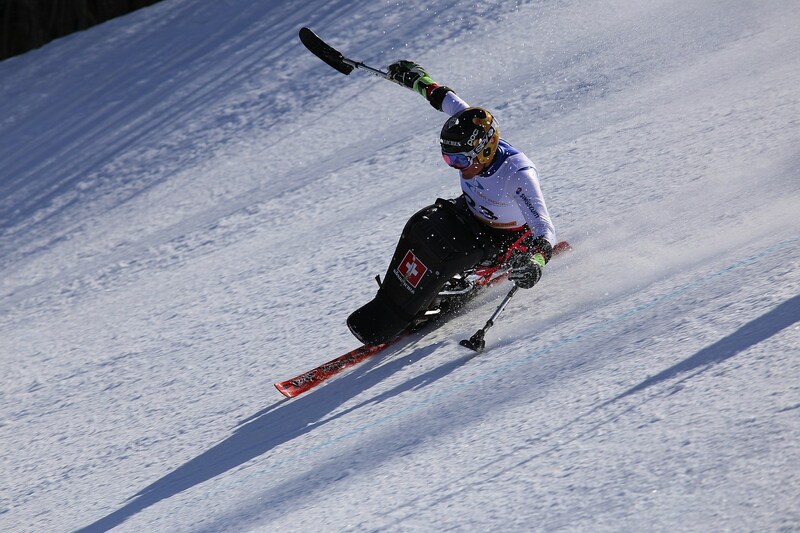 The Norwegian skier Jesper Pedersen put his best effort and could win, before Swiss Murat Pelit.